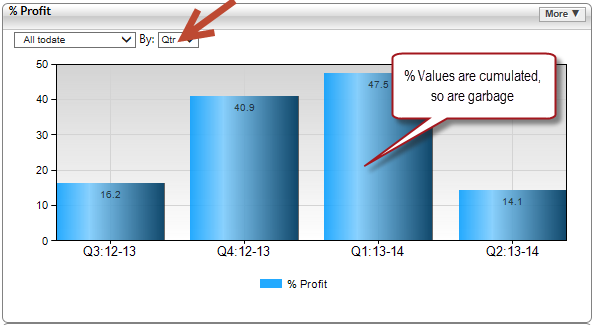 Percentages are often used within Key performance indicators as they provide a handy scoring system from 0-100. By normalizing your values around 100, it allows a reader to quickly ascertain the performance level of that metric. 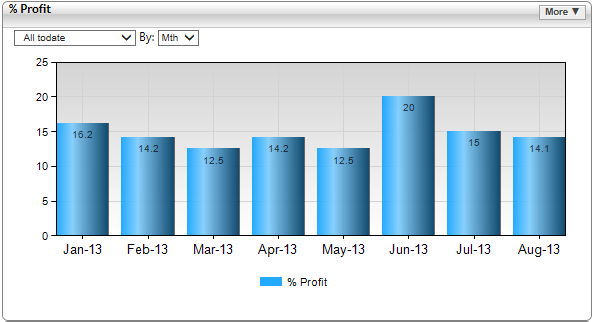 Using Dashboard software, we can plot this easily and get a very useful KPI trend chart. However, there is one big problem with using percentages in your KPIs: you can only use them based on their current form. So if we always want to show these percentages by month and never want to filter them (say by region) then this approach is fine, but look what happens if we try to display this same data by quarter…. 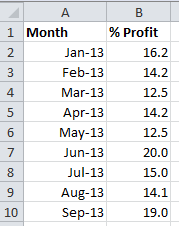 The result is that our monthly percentages are accumulated and therefore the results are total garbage. Obviously summing a percentage is totally invalid, so our chart makes no sense. A well-made dashboard will show “near view” detail of recent time and “far view” lower detail for more historic figures, so there is often a strong requirement to show a percentage KPI like this example by Month and also by Quarter. 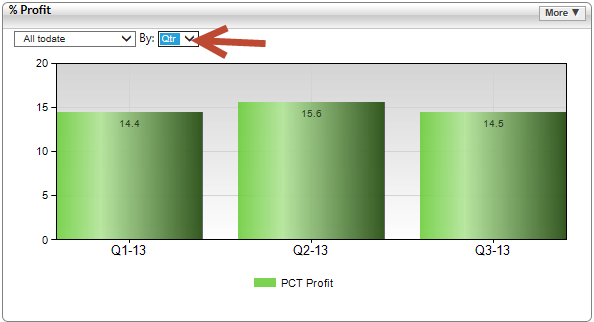 Then let some reporting software like Target Dashboard dynamically and more cleverly, calculate the percentages for you. This will calculate the percentage values in real time regardless of whether the data is grouped by Month, Quarter or year or filtered in some way. But now, it is also correct when charted by quarter. To conclude, when using percentages as KPIs it makes a lot of sense to include the raw data and dynamically calculate the percentage value. 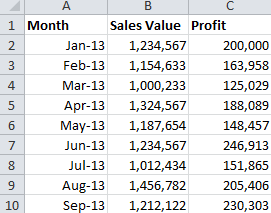 This allows us much greater flexibility to filter and group the data and still have a correct comparable percentage KPI. You can then present longer range charts grouped by quarters but also display your last twelve months of data shown in months, making your percentage data much more versatile. 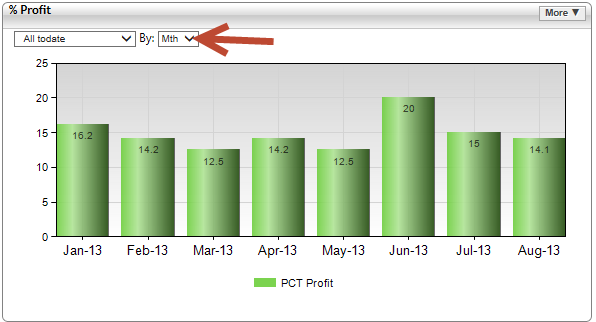 Target Dashboard can calculate all of these percentages for you. If you need any help with formulas or setup then please contact us at support@targetdashboard.com .